We've been talking about how fetal position can affect a woman's belly shape. Today, we start discussing how it can affect labor. As a reminder of what we discussed last time, remember that an Anterior baby (Occiput Anterior, or OA) means the baby is head-down; the back of the baby's head is towards mom's belly and the baby is facing towards mom's back. A Posterior baby (Occiput Posterior, or OP) means that the baby is also head down BUT the back of the its head is towards mom's back and baby is facing towards mom's front. Other names for the OP position include "stargazer" or "sunny side up" because the baby seems to be looking "up" at the sky when mom is lying down. Question: Why be concerned about the position of the baby before birth? Answer: Because the anterior position (facing mom's back) is generally an easier position for birth. A posterior baby (facing mom's belly) is generally a harder position for birth and the cause behind many cesareans these days. But why is that? Well, there are a number of factors that are at work here. Generally speaking, anterior babies are born more quickly and easily than posterior babies. Labor with an anterior baby is usually less painful and progresses smoothly (as long as the baby is lined up well and does not get a hand or arm in the way!). With an anterior baby, the diameter of the baby's head that presents through the pelvis is smaller because the angle is different. The chin is usually tucked down so the smallest possible diameter of the crown of the head presents at the cervix. This then applies nice even pressure on the cervix so it usually dilates reasonably fast and easily. The angle of presentation of the baby's head is different with a posterior baby, so the diameter of the head that must fit through first is larger. Furthermore, an OP baby often does not tuck his chin to his chest as much (sometimes called a "military" position), and its de-flexed head makes an even bigger diameter to fit through. In addition, the "fit" of the baby's head in mom's pelvis is trickier with an OP baby and there's not as much room for error. If the baby is a little out of alignment in an anterior position, he can usually still fit through. If he is a little out of alignment in a posterior position, the same baby may not "fit" as well. Because the OP baby's head enters in a larger diameter and is often deflexed, it has to mold more. "Molding" is where the bones of the baby's head slide over each other, like the metal plates of a vegetable steamer that fold in. This helps to make the head smaller and helps it fit through more easily. It's one of nature's ways to ensure that babies of diverse sizes can fit through pelvi of diverse shapes and sizes. Molding is natural and no big deal, but there's quite a bit more molding needed with a posterior baby and that takes a lot of time. Alas, hospitals are notoriously impatient with "slow" labors. Because the pressure on the cervix with an posterior baby tends to be more uneven, dilation also tends to be slower and more uneven. Furthermore, because the presenting diameter of the head is larger and needs more time to mold, a posterior labor often stalls out or slooooows down for a while in the middle of labor. This slowing/stalling is called "labor dystocia" and usually happens at about 4-7 cm. Even though she is still only about partway through labor, during labor dystocia the mother may be showing classic signs of "transition" (the last part of labor) like shaking, intense pain, a premature urge to push, exhaustion, or wanting to give up. If the baby needs to do extensive molding, this labor dystocia stage may go on for quite some time and can be very discouraging and tiring. As a result, a lot of women request epidurals (or even cesareans) at this point---often out of sheer exhaustion. Because the posterior labor tends to be slower and may stall for a while, medical interventions are often used to compensate. Hospitals often try to speed things up by artificially strengthening contractions with drugs (pitocin augmentation) or by breaking the mother's water. It should be noted that sometimes this does work just fine and may be better than doing nothing.......but sometimes it permanently jams the baby into a bad position that he can't get out of. His head gets stuck in that position, the pitocin augmentation keeps ramming him into the pelvis at a bad angle, and the pitocin may start reducing the amount of oxygen getting to him. As a result, he may go into fetal distress. Also, once the mother's waters are broken, the cushion of fluid is lost. Labor usually becomes much more painful for the mother, the lack of cushioning fluid makes it more difficult for baby to rotate OA, and the baby has less protection, making him more vulnerable to fetal distress and infection. Many cesareans are done at this point because the baby is not tolerating labor well. Furthermore, because of the uneven pressure on the cervix, there is often a cervical "lip" left near the end of dilation. Care providers often manually push this out of the way, over the baby's head----another quite painful intervention common to posterior labors. It's no wonder that many moms with posterior babies are ready to call it quits before the baby is even born. Labor with an OP baby tends to be more painful and difficult. The back of the baby's head tends to hit against the mother's sacrum, making labor more painful and concentrated in the back and pelvis (and sometimes the hips, if the baby tries to rotate to anterior). Back labor and OP positioning are not always connected, but they are frequent companions. Requests for pain relief are more common with posterior babies because of the combination of back labor, labor augmentation drugs, breaking the mother's bag of waters, and the sheer exhaustion of a long hard labor. Many, many moms with persistently posterior babies end up with epidurals, even those who strongly desired natural childbirth beforehand. Sometimes the epidural will help ease the pain from an OP labor enough to relax the muscles and help the baby turn anterior. However, because an epidural partially paralyzes the muscles of the uterus that help maneuver the baby through the pelvis, sometimes the epidural makes it even more difficult for the baby to turn anterior. So while sometimes an epidural can help in an OP labor, sometimes it's just another step along the way to a cesarean. Ironically, the pain relief from epidurals tends to be less effective with an OP baby. There is often a need for frequent re-dosing of the epidural, and pain relief can be spotty, with "windows" of sensation. No one is quite sure why this happens, but it probably results from a lack of uniform distribution of epidural meds because of the pressure from the baby's head against the mother's spinal column. Inadequate pain relief during a long, hard labor is another reason why mothers and hospital staff may be more quick to move to a cesarean. No one likes to suffer (or to watch others suffer), and a cesarean may seem like the most compassionate thing to do at that point....the best way "out" of a tough situation. However, the spotty pain relief associated with epidurals in OP labors may make them less than 100% effective for the surgery itself....so there are no easy answers here. Eventually, given enough time (or enough pitocin augmentation), many mothers of OP babies will dilate fully and begin pushing------only to have pushing go nowhere. A long, painful pushing stage that goes on for hours is a classic sign of a posterior baby. The baby simply doesn't "fit" well in that position, or hasn't molded enough yet to get through. However, with enough time and molding (or some creative pushing positions), some OP babies will finally "fit" through, hit the resistance of the mother's pelvic floor, and rotate to anterior. They are usually born very quickly after turning to OA. Some babies remain persistently OP and are born face-up, but often to an exhausted mother and caregiver. They may have avoided a cesarean, but often at a price, because mothers of vaginally-born persistent OP babies tend to have more instrumental deliveries (low forceps or vacuum extractor), more episiotomies, and more (and more severe) perineal tears. The good news is that they don't have the surgical recovery of a cesarean, nor a scar on their uterus that puts future pregnancies at risk----but it's still not usually an easy birth. A better choice would be to find a way to prevent the OP position or to turn the baby to OA while in labor so that it could be born more easily, without the collateral damage from either a surgical birth or a rough vaginal one. Illustrations of the Difference in "Fit"
Below are pictures of anatomical models of a fetal head and a woman's pelvis. In one picture, the baby is anterior (facing mom's back); in the next picture, the baby is posterior (facing mom's front). Please note, it's the same fetal head model and the same pelvis model, but look how much more room there is around the baby's head when the baby is anterior. Look one more time for good measure. Notice how much more room there is for the baby's head in the anterior position? Same baby, same head, same mother's pelvis.....but a different "fit" because of the baby's position and the flexion (tucking) of its head. It has to be noted that not all posterior births are difficult. Some women have easy OP births. They tell the story of how their posterior baby "flew out" and wonder why other posterior moms can't birth their babies so easily. Well, it's because not all posterior labors are created equal. Some posterior babies are relatively small and have their chins tucked nicely down; these labors take a little while longer than anterior labors on average but tend to be born vaginally. It's the big baby whose head is de-flexed and who is persistently posterior through all of labor that tends to have the most difficult labor and birth. Many posterior babies flip to anterior partway through labor, once their heads have molded enough to get into the pelvis. These babies may have a slow start to labor, but labor usually progresses quickly once the baby rotates to OA. Whether you've had a baby before can make a difference. Mothers who have given birth before (multips) tend to have more spontaneous OP vaginal births (no cesareans, forceps or vacuum extractors) than first-time mothers (primips). One Irish study showed that only 29% of primips had a spontaneous vaginal birth with an OP baby, while 55% of the multips had one. (Mind, that still means that even the multips had a 45% rate of major interventions with OP babies, which is still quite high.) Other research has found similar results. 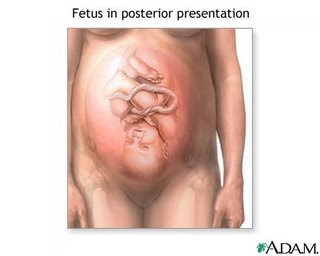 Some posterior births happen when the baby begins labor anterior but then flips posterior partway through labor. Some research shows this can be associated with epidurals; the partial paralysis of the muscles in the area may make it more difficult for the baby to turn properly during its journey through the pelvis. 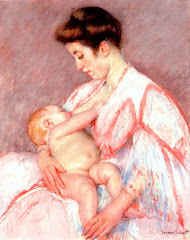 However, a flip at this late stage (when it's already partway into the pelvis) usually means that even an OP baby comes out fairly efficiently and a vaginal birth is common. It's the persistently posterior baby----one who is posterior from the beginning of labor and remains so consistently throughout, and especially one who is big and whose head is de-flexed----these are the posterior labors that tend to be long, hard, and painful. That's not to say that a persistent posterior cannot be born vaginally. Of course not! A persistently posterior position is not an impossible position for birth.....but it often needs more time and patience and support from caregivers. Unfortunately, because of economics and "standard of care" procedures, time and patience for longer posterior labors can be in short supply in hospitals. Therefore, the cesarean rate associated with persistently posterior babies can be quite high. Here is a 2003 study that compared the effect of persistent posterior (OP) and anterior (OA) positioning on labor outcomes. There are several other studies like this available as well. You can see that on average, OP babies had longer labors, longer pushing phases, and more than five times the cesarean rate. In addition, some studies find that persistent posterior positions are harder on the babies, with more NICU stays or longer hospital stays, more signs of stress, and sometimes lower Apgar scores at birth. So you can see, persistent posterior positioning DOES affect labor and birth. It tends to create longer, harder and more painful labors, long pushing phases, and results in a much higher rate of cesareans. It also can be more stressful on the baby. Posterior positions that occur partway into labor, posterior babies that rotate to OA during labor, posterior babies in multips, or posterior babies that tend to be small and/or with well-tucked heads.......these OP babies don't usually cause as many problems and have a good chance at a normal vaginal birth. But babies that stay persistently posterior from before labor and throughout labor....these are associated with a lot more difficulties in labor and birth, especially when the baby is big and/or its head is de-flexed. They have a much higher risk for birth via cesarean, forceps, or vacuum extractor. So now the question arises......What, if anything, should we do to try and prevent persistent OP babies? Is there any effective way to prevent or turn persistent OP babies? Or is persistent OP positioning simply another variation of normal in labor, and all that is needed is a little more time and patience? Tune in next time.......that's another post in the series!! This was quite possibly the single most informative & insightful article I have ever read anywhere about labour and delivery positions for babies. BRAVO! I can't wait for your next installment in this series! Absolutely fascinating. Wish I'd read something like your post prior to suffering through two OP labors. Just knowing OPs tend to last longer (a lot longer, in my case) than AP would have reduced the stress levels some. I was lucky -- my doctor did not believe in interfering as long as fetal heart rate was showing as normal on the monitor -- but that was quite a few years ago. I imagine that these days there would be tremendous pressure to just have a C-section and get it over with. Awesome, now I can show this to my husband. I saw the midwives two days ago and they couldn't get the heartbeat easily because the little one was OP, (32 weeks.) I was explaining this to my husband and he was having some trouble visualizing it all. They sent me home with a worksheet on "how to encourage a posterior baby to turn." Of course I'm not sure if the baby is anterior or posterior at the moment because he spent the last 48 hours going nuts and moving like crazy. I'm sure I read something about the way a mom in the last few weeks of pregnancy could do exercises to encourage the baby to turn. It might have been Ina May's book. In Spiritual Midwifery (which is a very detailed birthing book) she mentions her very low rate of OPs and attributes it to allowing the birth mother to choose laboring position. What an absolutely fantastic post. Thank you so much! I'm a doula and I sometimes see my mamas eyes glaze over when trying to explain positioning issues - it just seems so abstract to them. This is great with the illustrations, I've bookmarked it. this was very neat to read! 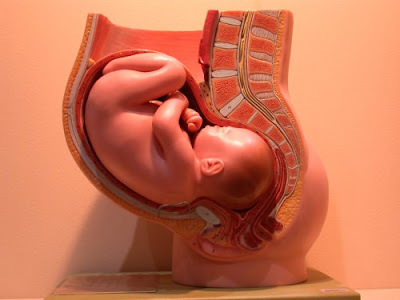 i am amazed as i research more and more about posterior babies because i am finding out how difficult it can be. i feel very lucky to have had my first baby (and only so far) vaginally - even though he was very posterior. when he came out face up the doctor was shocked! i was in labor for about 16 hours (only about 6 of that was active) and had to push for only 30 minutes, without any interventions. i did have a very bad tear but i expected that. i didn't realize how lucky i was to have such a quick and successful vaginal birth with a posterior baby. i guess i just didn't know about the problems that could arise with this type of position. i'm glad i didn't know as i was in labor that he was posterior or perhaps i would have been more anxious and that would have slowed things down. thanks for this read. it was very informative and i'll definitely use this information during my next pregnancy!! This was great! It's amazing that even with the research out there, that doctors and nurses aren't assessing fetal positioning prior to an epidural or C-section, and trying to get the baby to rotate before using the knife. It's sad, too. I've recently found this website which gives a simple thing a mother can do to get her baby to rotate to anterior, because it gets to the root cause for why many babies are posterior to start with -- strained muscles in the torso. It's something best done in the months leading up to labor, and looks very promising. Despite my near-obsessive reading about pregnancy and birth before my kids were born, I didn't come across much information about fetal position and OP in particular. I have had two c-sections, most likely due to OP. My first was induced early due to Obstetric Cholestasis, and took literally a week. After two days on Pit, I had barely started contracting and had gotten to less than 2cm. After refusing a c-section, I went home and came back a day later to try again. I started off that time with cervadil Sunday night, followed by Pitocin Monday morning and on. Late Tuesday night I was at almost 4cm. It was insane. After them pressuring me again for c-section, and refusing, I allowed them to break my water to 'get things going'. Baby dropped, things got going all right. But went no where fast. Nothing was happening once I got to 7cm. I tried everything I could think of, and the OB nurses put the bed through every position it could go in, I used the ball, stool, walking the halls, dancing, you name it. Wednesday morning, after giving in to their insistence I have an intrathecal injection so I could sleep for a little bit (hadn't had any medicinal pain relief to this point and no sleep since Sunday night), my bp and stats dropped and I got violently nauseous and suffered from horrible vertigo. I finally gave in to their request for c-section. She came out with molding in all the wrong places - she was OP. 19 months later I was in labor with #2. I found someone who would take me as a VBAC, which was no easy task. Even more fun considering that I was 'overdue'. I found myself in labor at 41 weeks 4 days. They were getting ancy, but I wouldn't give in! Finally got things going along on my own and was psyched to be in natural labor. Went in knowing a lot more, but not much more about OP. With their VBAC nervousness, the policy was in this VERY small hospital (3 total patient rooms for OB!) that the OR had to be cleared and ready to go, staff on campus and docs waiting - the entire time I was in labor. No pressure!! Since I was sort of on a timetable, the OB requested to break my water (about 3cm) and I let him. I spent most of my time squatting in the hallway willing the baby to come down. After many hours, they checked me and I was at 5cm. Midwife wanted to check during a contraction (UGH!) and I was STILL at 5. And she broke the bad news. She could stretch me to fully dilated but the baby's head was NOT even touching my cervix! Cue more time spent shrugging off advice for c-section and more squatting and bouncing and hanging and rocking. Still at 5. They gave me a 1/4 dose of Nubain so I could think (ha!) about the c-section option. Once again I react and end up giving in to them. Baby comes out with molding. What?? She never got to the cervix, but had molding. Oh, and bone-shaped bruises on her forehead and nose. And was pulled out sunnyside up. Grrr. Now that I know more about OP and positioning in general, I kick myself daily for letting them break my water. I wish I'd known more about OFP practices in late pregnancy, had a doctor or midwife or nurse give me pointers in labor about positioning. I can't help but think that had I let the babies descend at their own rate they would have turned and maybe, just maybe made it out the right exit on their own. Thanks for the great information - I'll be sending the link to everyone! I had a little 6 lb 3 ounce girl in the 1980's OP and had her naturally with no pain killers or drugs of any kind. No one knew what was wrong then. My first labor was only 4 hours from start to finish. My second OP labor was 36 hours and I was threatened with a C-Section if I didn't push her out in one more hour. I had no urge to push because the pressure is not on the right place on the cervix. Finally the Dr. put his tremendously huge hands in and felt her face and it was facing up. He said he had delivered a calf that was OP before and it gave him the idea she might be sunny-side up. He turned her and out she came immediately. After reading this article I didn't realize how tough I was when I was in my 20's. Thank goodness for ultra sounds, medications, monitors,websites like this one etc.. Fantastic article - describes my labour down to a T (OP with deflexed head). Unfortunately it was mismanaged, I don't think anyone picked up he was OP, or at least it wasn't in any of the prenatal notes, and the midwife performed ARM at 7cm because contractions were slowing down (after about 24 hours of labour). Unfortunately this just lodged baby's head even more firmly in the "wrong" position and increased my pain levels at least 20 fold. Fast forward to epidural and c-section (so much for my natural water birth with no intervention and minimal pain relief, if any). i have had two babies who were in the posterior position. was a very difficult experience indeed. that has led to to finding out if their positions were responsible for the slow pace of dilation. i enjoyed what i have learnt from this series and would continue to follow the upcoming ones. women ought to be aware of all that happens before , during and after delivery. I wish I'd read this during pregnancy, especially the bit about OP labours not always being extra long. Because my daughter was OP, the midwife assumed I would have the classic long labour. So when I was starting to push less than two hours after being 2 cm dilated, she pretty much forced me into having an epidural to stop me - which then led to two hours of fruitless pushing, an episiotomy and forceps delivery. If she'd just bothered to check before the epidural rather than after, she'd have found I was fully dilated and ready to push. Of course I don't know whether I'd have needed the interventions anyway, but my daughter was small and had turned at some point during labour. Ih ave had 3 babies so far and pregnant (24 wks) with my 4th. First baby was ROA, but turned OP during labour @%@*&^$!, waters broke at 7 cm, and then i spent over 2 hours pushing in the pool and he eventually came out right way up, with me exhausted. 2nd baby was OP, and at 35 wks they made me have a growth scan becasue they thought my belly was "too small", and i resisted saying i thought it was just her position...Turns out i was right, she was OP and average weight for a baby...OP the entire time, even during labour, which was short @ hrs 20 mins start to finish, but came out right way around after 4 pushes, which my body did itself, which took me by surprise, as the first baby i had to push with all my might! £rd baby decided to be OP the whole way through preg as well, which was weird never feeling his back ,but just limbs moving about...he stayed OP up until his head exited and my husband saw him corkscrewing on his way out, to come out the right way up. That labour was different, than both the others where the waters broke at 7cm, as the 3rd one the waters broke on the toilet, before labour, which was surprising. I knew by reading the spinning babies website, that during contractions, it would help the baby reposition and flax him head if i placed my back against the wall, bent my knees slightly and lifted my belly during contractions. The midwifes asked what i was doing and i explained it and they seemed interested. That labour,(about 4 hours from start to finish),i was only 1cm dilated when the midwife came out, and as my contractions got stronger, was still not dilating, but i trusted what i had learnt about OP from spinning babies, and didn't let that bother me as i knew there was a process going on that was necessary for the baby to be born, and it would do what it needed to in good time. Eventually i wanted to get into the pool, the midwives didn't think i was anywhere near giving birth at all, but let me get on with it. For some reason, i felt the need to float with my tummy facing down and my legs straight out behind me..i don't know why, but thats what i needed to do...within half an hour of getting in the pool, i went from 1 cm to 10 cm and the baby was born. I was shaking terribly because of the fast dilation, and he was still turning on his way out, but managed to be born fine, with an apgar of 9. This 4th baby is 24wks gestation, but is also OP. I know the midwives say the position at the moment doesn't make any difference,but this time the placenta is anterior, which further encourages OP position as they like to face their placenta, and i have never felt its back at all, it just feels squishy and empty in there, and i can never find anything much palpating. For some reason, the babies seem to sit in me OP. I tried everything the spinning babies site recommended, including inversions and the whole lot, along with seeing a trained osteo to do the things they recommended, but the babies never turned regardless. But i am not going to worry this time, as i have seemed to have managed to give birth to them all so far with out the classic long labours etc, just alot of back labour pains etc, so obviously the shape of my pelvis and everything else has fortunately worked together to successfully birth the baby without intervention. One of the most common causes I see as a midwife for posterior positioning is these soft leaning back sofas and recliners! I am insistent that pregnant women after 6 months stay out of them, and do hands and knees twice a day for 10 min or so to help prevent it. I had two posterior labors of my own and both babies turned, but I was at home, with no interference. Had I been in hospital they would most likely have ended up as sections. 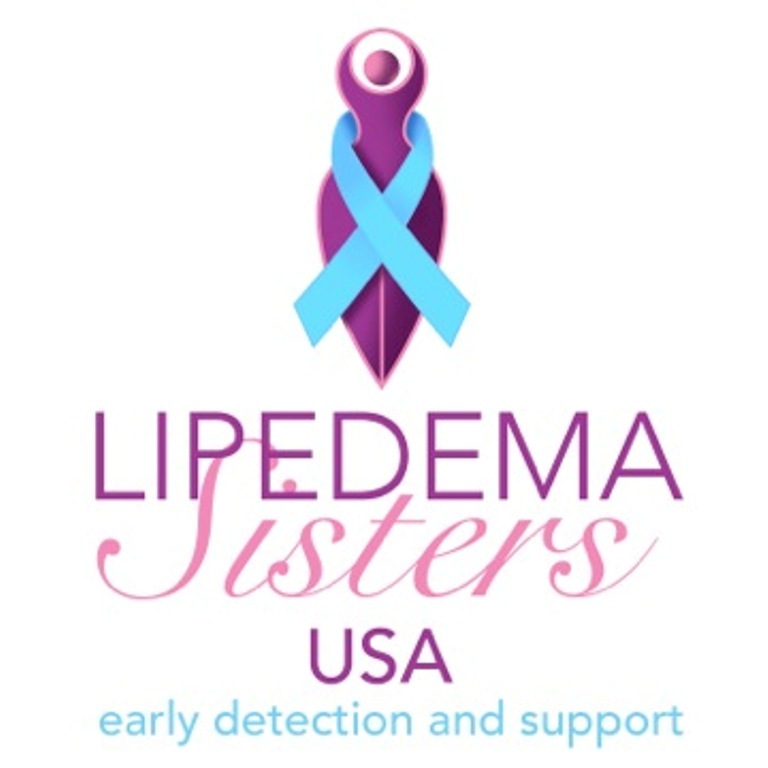 I palpate very carefully after 36 weeks, just to help moms prevent this. So far in 4 years of practice I have had no posterior births...:) thank you To the ladies to developed Optimal Fetal Positioning! What does it mean when you are 28 weeks along and the doctor says that that baby is tucked further than she should be? Mine did. I told them I would do anything to avoid a c-section, which they suggested as baby's heartrate was dropping with every contraction. They had me push at a "stretchy" 9, the doctor turned him, and had me push while using vacuum extraction. I pushed like I had never pushed before with my other babies. i think it took two pushes. Anyway, I am from Canada, And I wonder if the c-section rate is a bit lower here... This is what it seems like from reading about other women's experiences online. Wow.....this helps me understand my 5th (yet only posterior) natural labor so much better! I felt like I somehow failed in my last delivery was it was so much more difficult than all my others. Reading the scientific why behind it all makes me feel better about how awful the pain seemed! A Fibingr, I'm so sorry your OP birth was so difficult and traumatizing. I don't know that I agree that you shouldn't even try for an OP vaginal birth. Research shows that most OP babies will turn OA turning labor. Anecdotally, I know many women who have had an OP vaginal birth, even when the baby remained OP. I do think that research shows that there is a higher risk of trauma with an OP labor, but even so, many OP labors have good outcomes. I prefer to prevent OP as much as possible through chiropractic care and optimal positioning awareness. If baby remains OP, see how labor goes and then decide what to do. You can always opt for a cesarean during labor if things get too hard, little progress is being made even with patience, or you are concerned about baby's status. But of course each person is in charge of their own healthcare decisions. I can understand how you would not opt to try an OP birth again. Having had both OP and OA labors, I would agree that OP labors are SO much easier! Doh! I meant that OA labors are SO much easier! So best option is to prevent OP whenever possible *before* labor or hire a provider that is skilled in manually turning baby during labor, which has a high success rate. Friday Fluff: Attn Firefly/Serenity Fans!